Friends from Antwerp – and is that a famous Yiddish poet? My grandfather was born in Vienna, Austria during World War I. His family had fled their homes in Galicia, then a region of Austria, and fled to the capital city to avoid the invading Russian army. 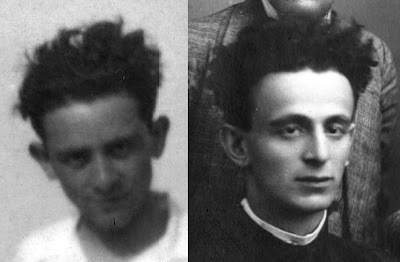 His brothers, one born before him in 1911, and one after him in 1921, were both born in the Galician town of Rzeszow, known in Yiddish as Reisha. 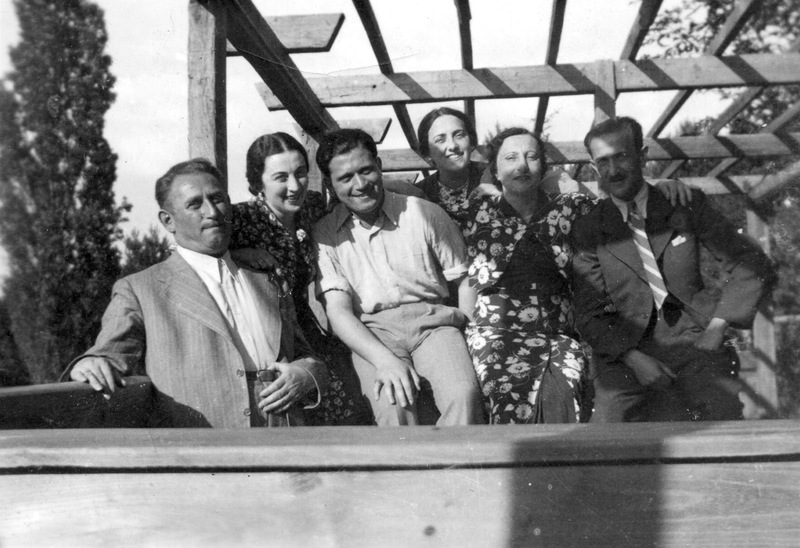 In 1927 the family moved to Antwerp, Belgium, seeking a better life and perhaps more stable situation. As I’ve written about before, Antwerp and Belgium in general received many many Jewish immigrants during the interwar years, among them my family (my grandfather’s future wife also made her way around the same time to Antwerp from Rzeszow). In 1927 my grandfather was of course 12 years old, and he lived in Antwerp until 1940, when he was 25. Those were, no doubt, formative years for him. I know many stories about his time there, and have found documents hinting at others in the Police des Étrangers files I’ve found. I know just a couple of years after he arrived, after his father died, he ran a watch shop near the docks of the Antwerp port, helping support his family even though he was only 14 at the time. I know he used his US citizenship to travel to Nazi Germany in the 1930s and helped younger cousins get out of the country, as the Germans still respected a US passport (they probably hoped the US would side with them in the upcoming war). One thing I don’t really know about, however, is what kind of social life he had. Some years ago he told me he bumped into an elementary school classmate of his from Belgium in New York, and he had recognized my grandfather even all those years later. He later sent my grandfather a class photo showing both of them. 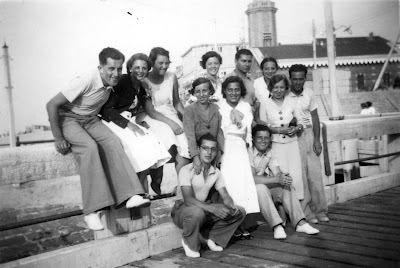 When researching family we sometimes forget that our relatives spent much of their time, especially when they were teenagers and young adults, with their friends instead of their family. It’s part of what defined them and made them who they were. In this light, some recent photographs I discovered at my grandfather’s apartment are particularly interesting. I have no idea who anyone in the photos are other than my grandfather. 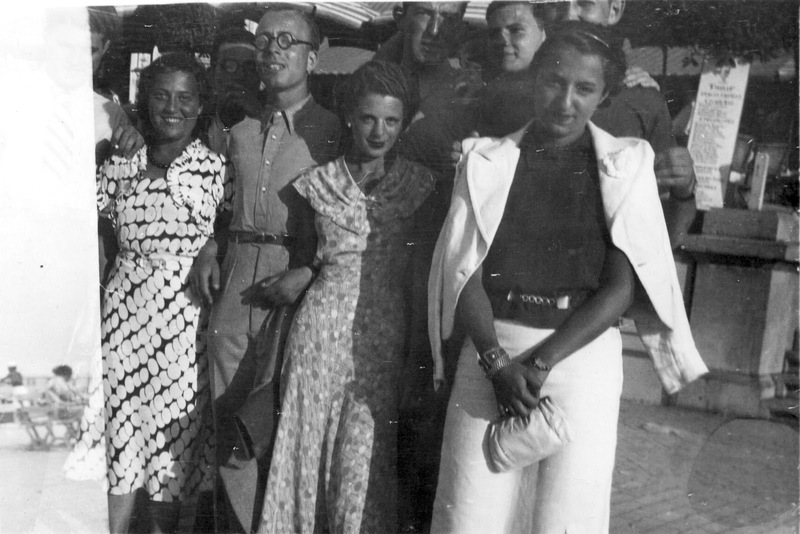 If you had relatives born during WWI and who lived in Antwerp in the 1930s, perhaps they’re among the people in these photos. 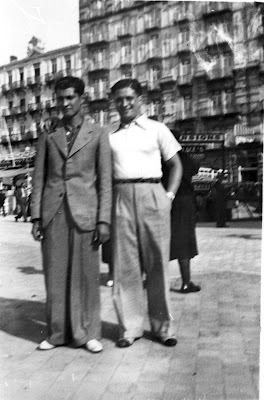 My grandfather is on the right. The man on the left was his friend. Is this Baden in Germany? or is that booth to buy a ticket? My grandfather in on the left. Know anyone in these photos? Right, Itzik Manger. Left, Maybe Manger? So what do you think? Is that Itzik Manger? 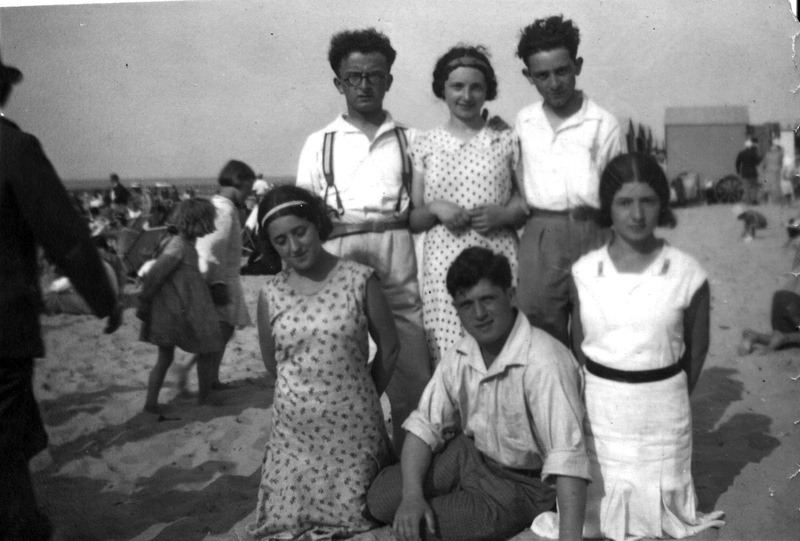 Is that my grandfather’s cousin with him on the beach, possibly in Knokke, a favorite vacation spot? The picture of Golda is obviously of an older woman than in the photo on the beach, but that makes sense sine the photo of Golda was taken in 1939, when she was 35 (she was born in 1904). In the beach photo my grandfather looks like a teenager, so it could have been 1930 or shortly thereafter. Itzik Manger survived the war and eventually moved to Israel. My grandfather’s cousin, however, likely died during the war, although I’ve found no direct evidence of that. All I know is she shows up in the first register of Jews in Belgium in 1940 after the Germans invaded, but not in the later registration done in 1942. She doesn’t show up in deportation lists, which recorded all those deported from Belgium to Auschwitz, so she either escaped Belgium or was killed. If she escaped, perhaps she changed her name and the trail was lost, or perhaps she escaped from Belgium only to be killed later in the war – certainly a possibility. What a fascinating possibility that you’re more deeply connected to Itzak Manger than you thought! If you don’t get any conclusive comments from your readers, I would contact the National Yiddish Book Center or YIVO, though you may have already done that. FWIW, *I* think the men look the same! Good luck and shana tovah! Thank you Rachel. Shana Tova. This is a fascinating post for many reasons, but I’m particularly interested in the topic because my father and my uncle Richard spent time in what I always thought was a detention camp in Belgium after leaving Vienna in 1939 and arriving in New York the following year. My father got a visa; his brother Richard was sent to a concentration camp. My father never talked about it — I suppose because of what happened to his brother — but I have pictures of him looking happy there. I’ve always wondered: Were they assigned numbers, like with the draft, so that some were saved and some condemned? Do you have any information about where in Belgium displaced Jews might have been held during World War II? Edie, there is a lot of information available on Jews who resided in Belgium. That was in fact the topic of my lecture last year at the IAJGS International Jewish Genealogy Conference in DC. I would recommend that your first point of contact be Dorien Styven at the Kazerne Dossin documentation center. I give a brief outline of Belgian resources, including contact information for Dorien on my Belgium page (there’s a link at the top of this page or you can just go to http://www.bloodandfrogs.com/p/belgium.html). 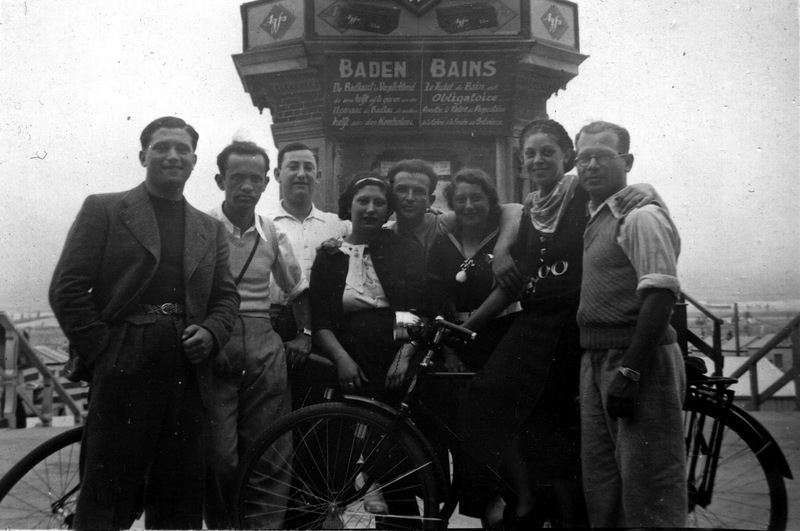 In short, Jews who remained in Belgium past the German invasion in 1940, were registered in 1940 and again in 1942, before being deported to Auschwitz from the Kazerne Dossin transit center in the city of Mechelen. If your uncle was recorded in either the 1940 or 1942 registration, or was deported among the roughly 25,000 Jews that were deported from there, then the documentation center will have the records. 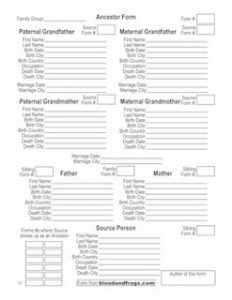 In addition, depending on how long your father and uncle were in Belgium, it’s likely there are records on them in the Belgian Police des Étrangers files, including photographs. There is also information on those files on my Belgium page, although it’s possible that the records may not yet be available since they would only have been opened in 1939, and I don’t know exactly what the cut off is for accessing those records. I suspect you will be able to access them, but you need to contact them to find out. There is a cost for getting copies made of records. If you have any trouble reaching the archive in Brussels, let me know and I can try to help. For your uncle, if he was deported, it’s possible that the documentation center has a copy of his Police des Étrangers file, as they started a project to digitize the records of those deported, but as far as I know the project isn’t yet completed, so they may not have it yet. In any case, if there is a file on your father, they wouldn’t have it. Thanks, Philip. As you know, I’m primarily researching my mother’s family history but I saw this post and followed your links, including the one to your talk at the conference, which sounded very impressive. I’ll keep this information on file for future reference when I take a break from Freud (if one can ever take a break from Freud). I would still recommend e-mailing Dorien, as it only takes a few minutes and it doesn’t cost anything to get the information. Of course, it would be easier to compare if you had a higher resolution scan of the photograph. Thank you for the additional photograph. Unfortunately, scanning in higher resolution won’t help much as the original print itself is a bit blurry. For the record, I do indeed think that is Itzik Manger on the beach with my grandfather. My grandfather lived in Antwerp between 1930 and 1942, he came from western Romania, from a Hungarian speaking family. Do you know what language the Jewish immigrants spoke among one another in Antwerp? 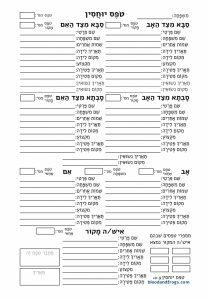 Yiddish, or the language of their home country? And what language did they speak when they had to communicate with the Belgian authorities, Dutch or French? Dutch is the official language in Antwerp today, but French was still widely used in Europe in the 1930s. I don’t know if this was also the case in Eastern Europe. Thanks for sharing these photos, it’s great to see that people were having fun those days 🙂 The fifth photo from above was taken in Belgium, somewhere at the seaside. The text is both in Dutch and French. Even though Flemish is the official language of Antwerp, French was and is still widely used among the Jewish community there. My grandmother who grew up in Antwerp spoke 7-8 languages, including Yiddish, German, Flemish, French and Polish, and probably used all of them in Antwerp. If you retrieve the file on your family that most likely exists in the records of the Police des Étrangers, it may shed some light on the languages they spoke, among other interesting facts. I always say those of us researching our families whose families passed through Belgium are lucky that these files exist, even if they represent the equivalent of the FBI keeping track of all foreigners in the country in the US – very big brother. I know that French was like a second language to my Belgian family members, but they didn’t speak it fluently. It is interesting to know that my grandmother (who was a native from Antwerp) and my grandfather may have spoken French when they met. My grandfather is on the Antwerp Police Immigration Index, but I never realized, until now, that this is only an list of names, and that there are more files attached to it that are kept in the Belgian archives. (And this is a rather slow realization since I know about this list for 2.5 years ;)) So I’m really curious about the information that can be found in the real records. Could you tell me if there is a difference between the Police des Étrangers/Immigrant files of the archives of Antwerp (Felix Archief) and the National Archives in Brussels? If both archives hold different records, I will contact them both. Whatever is in the Felix Archives files should theoretically be in the main archive in Brussels, but the reverse is not true. Everything collected from across Belgium was added to the central archive files. Of note, the neighborhoods that many Jews lived in around Antwerp were not actually made part of the Antwerp municipality until much later, so any documents collected not in the city itself would not be in the Felix Archives files. In general, I like to get both files, just to make sure I have everything. It is possible that some records in the Felix archives never made it to the central archive, although that is rare. I discuss how to access both sets of records in my Belgium page (link in the menu at the top of this page). You mention your grandfather lived in Antwerp until 1942, which would suggest he lived there during the German occupation, and would mean there are additionally files on him in the Kazerne Dossin. I suggest looking up those records as well (see the Belgium page for info on how to do that). Thanks again. I’ve been in contact with the Kazerne Dossin, my grandfather was deported from there. His name also appears in the Jewish Register (Jodenregister) of Antwerp. As far as I know, he lived in the city of Antwerp all of these years, although he frequently moved, he stayed in the same neighborhood. I will definitely contact the National Archives in Brussels, they may know more about my grandfather than my family. I’ve been reading through some of these blogs yesterday and that has already answered many of my questions. But your website is great as well, so keep up the good work! No, Baden is Dutch (Flemish) and Bains is its French translation. In the meanwhile I have learned the following: if a citizen from Antwerp had to deal with legal affairs (police, court, etc. ), it was mentioned whether this person spoke Flemish, French or another language. I have found several records on possible acquaintances of my grandfather, all born in Romania, who were living about 5 years in Belgium, most of them made their declaration in Flemish, one in German.